html "by Christopher P. Reilly & Darron Laessig" For the first time in comics, the centuries-old tale of "Punch and Judy" is told in this 48-page adaptation of the classic children's puppet show, written and researched by Christopher P. Reilly and illustrated by Darron Laessig, with a gorgeous cover painted by "Star Wars "cover artist, Jon Foster. 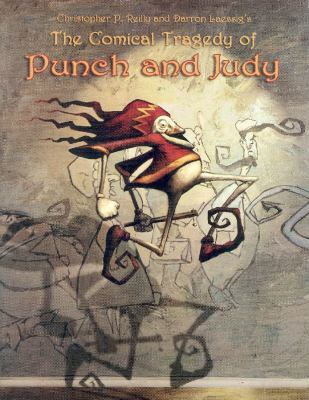 Follow the trail of mayhem left by Mr. Punch, as he brandishes his "slap-stick" upon every foe who tries to hurt his precious and infamous nose, from the dog Mr. Toby, to Mr. Scaramouche, to the Hangman, and finally the Devil himself. Plus, historical background on the "Punch & Judy" story.